This book is basically a rebuttal and a debunking of a guy called Leo Taxil,who created a bit of a furore back in about 1885. Taxil converted to Catholicism and along with his conversion, came a hatred of all things Masonic. So he made up stories about them. 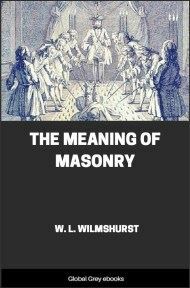 He wrote several books about the evils of Freemasonry, started an anti-Masonic newspaper, and even met Pope Leo XIII, who totally agreed with him that Freemasons were devil worshippers. A year after Waite's book came out, Taxil retracted everything, claiming that all that he wrote was fabricated, he didn't really convert to Catholicism, and that he only did all those things to embarrass the Catholic Church. IF a short time ago that ultimate and universal source of reference, the person of average intelligence, had been asked concerning Modern Diabolism, or the Question of Lucifer,—What it is? Who are its disciples? Where is it practised? And why?—he would have replied, possibly with some asperity:—"The question of Lucifer! There is no question of Lucifer. Modern Diabolism! There is no modern Diabolism." And all the advanced people and all the strong minds would have extolled the average intelligence, whereupon the matter would have been closed hermetically, without disquieting and unwelcome investigations like the present. The Great Teacher of Christianity beheld Lucifer fall from heaven like lightning, and, in a different sense, the modern world has witnessed a similar spectacle. Assuredly the demon of Milton has been cast down from the sky of theology, and, except in a few centres of extreme doctrinal concentration, there is no place found for him. The apostles of material philosophy have in a manner searched the universe, and have produced well, the material philosophy, and therein is no question of Lucifer. At the opposite pole of thought there is, let us say, the spiritualist, in possession of many instruments superior, at least by the hypothesis, to the search-lights of science, through which he receives the messages of the spheres and establishes a partial acquaintance with an order which is not of this world; but in that order also there appears to be no question of Lucifer, though vexed questions there are without number concerning "unprogressed spirits," to say nothing of the elementary. Between these poles there is the flux and reflux of multitudinous opinions; but, except at the centres mentioned, there is still no question of Lucifer; it has been shelved or dropped. 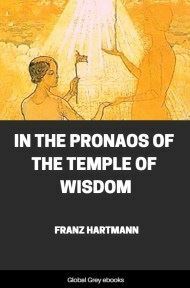 The revival of mystical philosophy, and, moreover, of transcendental experiment, which is prosecuted in secret to a far greater extent than the public can possibly be aware, has, however, set many old oracles chattering, and they are more voluble at the present moment than the great Dodonian grove. As might be expected, they whisper occasionally of deeds done in the darkness which look weird when exposed to the day. The terms Satanism, Luciferianism, Diabolism, and their equivalents, have been buzzed frequently, though with some indistinctness, of late, and in accents that indicate the existence of a living terror—people do not quite know of what kind—rather than an exploded superstition. To be plain, the Question of Lucifer has reappeared, and in a manner which must be eminently disconcerting to the average intelligence and the advanced and strong in mind. It has reappeared not as a speculative inquiry into the possibility of a personal embodiment of evil operating mysteriously, but after a wholly spiritual manner, for the propagation of the second death; we are asked to acknowledge that there is a visible and tangible manifestation of the descending hierarchy taking place at the close of a century which has denied that there is any prince of darkness. Now there are some subjects which impress one at first sight as unserious, but we come to regard them differently when we find that they are being taken seriously. 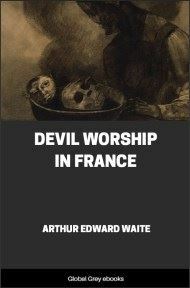 We have been accustomed, with some show of reason, to connect the idea of devil-worship with barbarous rites obtaining among savage nations, to regard it, in fact, as a suitable complement of the fetish. It seems hypothetically quite impossible that there can be any person, much less any society or class of persons, who, at this day, and in London, Paris, or New York, adore the evil principle. 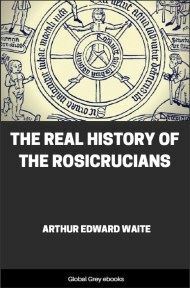 Hence, to say that there is Black Magic actively in function at the present moment; that there is a living cultus of Lucifer; that Black Masses are celebrated, and involve revolting profanations of the Catholic Eucharist; that the devil appears personally; that he possesses his church, his ritual, his sacraments; that men, women, and children dedicate themselves to his service, or are so devoted by their sponsors; that there are people, assumed to be sane, who would die in the peace of Lucifer; that there are those also who regard his region of eternal fire—a variety unknown to the late Mr Charles Marvin—as the true abode of beatitude—to say all this will not enhance the credibility or establish the intelligence of the speaker. But this improbable development of Satanism is just what is being earnestly asserted, and the affirmations made are being taken in some quarters au grand sérieux. 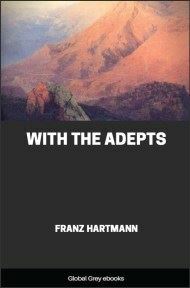 They are not a growth of to-day or precisely of yesterday; they have been more or less heard for some years, but their prominence at the moment is due to increasing insistence, pretension to scrupulous exactitude, abundant detail, and demonstrative evidence. Reports, furthermore, have quite recently come to hand from two exceedingly circumstantial and exhaustive witnesses, and these have created distinctly a fresh departure. Books have multiplied, periodicals have been founded, the Church is taking action, even a legal process has been instituted. The centre of this literature is at Paris, but the report of it has crossed the Channel, and has passed into the English press. 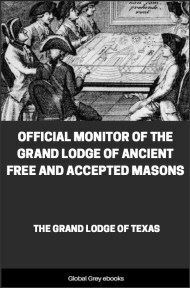 As it is affirmed, therefore, that a cultus of Lucifer exists, and that the men and women who are engaged in it are neither ignorant nor especially mad, nor yet belonging to the lowest strata of society, it is worth while to investigate the matter, and some profit is possible, whatever the issue.